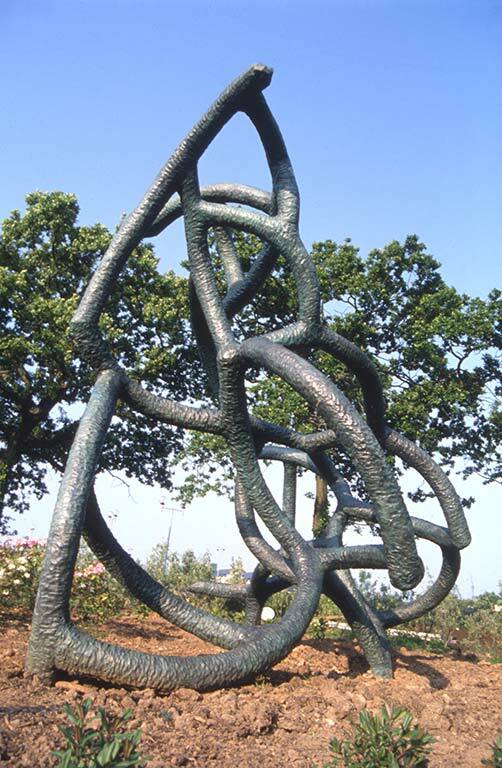 Cast bronze, patinated jade green. 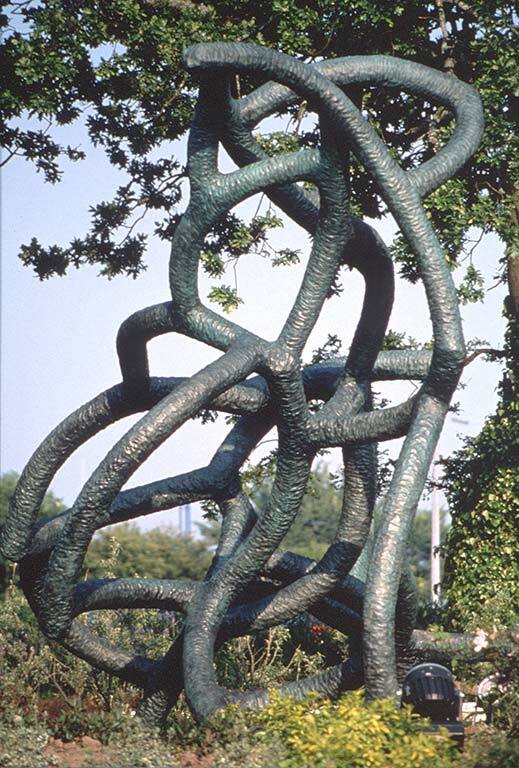 Commissioned by Marks & Spencer through Cyaith Cymru Artworks Wales, and sited in 1994 at Culverhouse Cross, Cardiff. 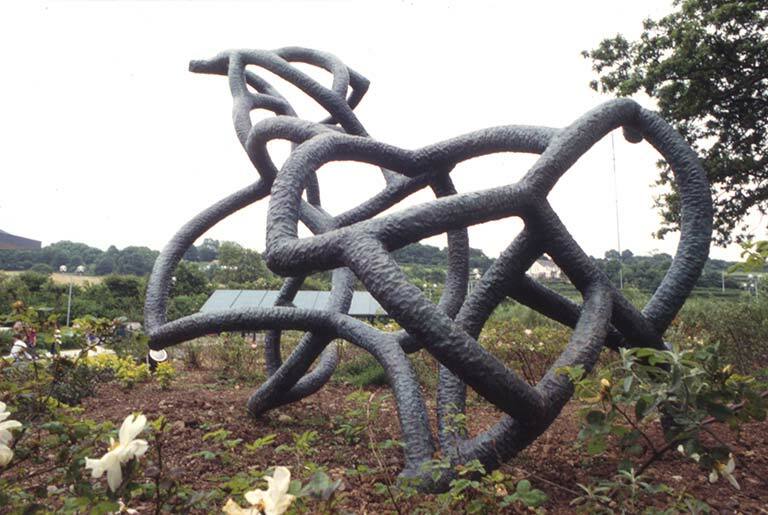 Dragon’s Dance was cast in bronze from a plaster form made of over 30 curved cylindrical sections interlocked in a 3 dimensional web. Although the sculpture was initially conceived as a geometrical form, Lijn’s method of working led to an organic end result. 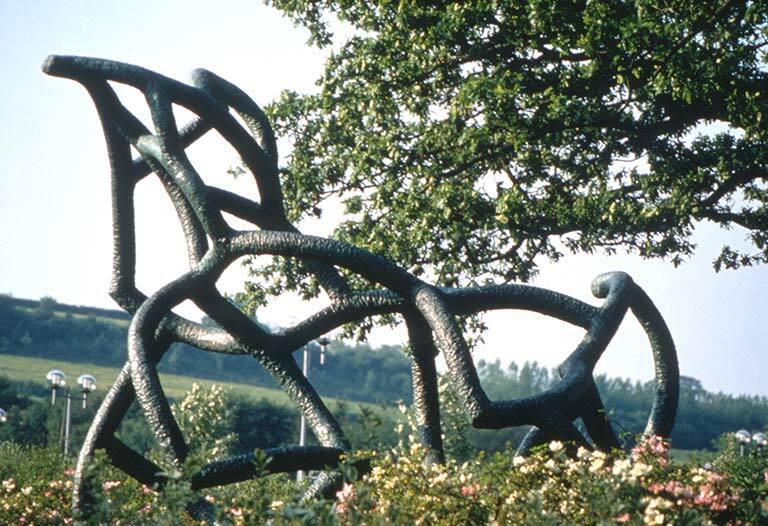 The surface texture of the sculpture, the patina flowing from a light jade to a near black, looks like the rippling skin of a mythological beast. In mythology, the Dragon symbolises the energy of both earth and water. The three-dimensional web, which is essentially a shape shifter and can assume myriad forms, is also a structure that has interested people from the most ancient times, as archetypal as the spiral. 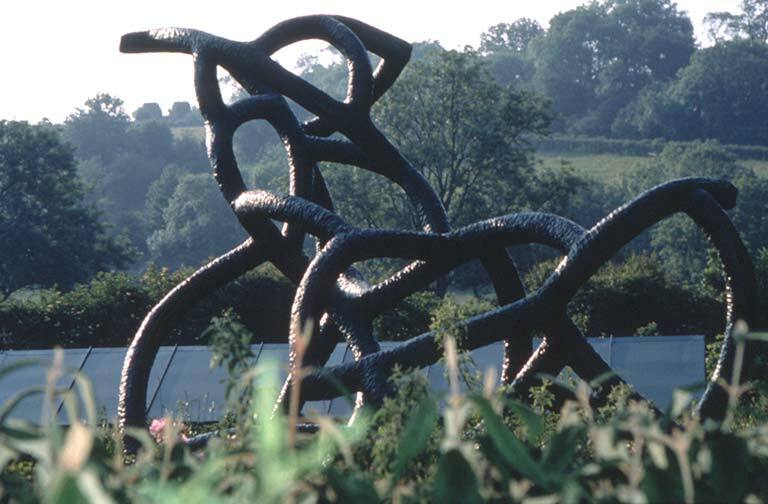 Like many of Lijn’s works Dragon’s Dance invites the viewer to play an active role, the solid bronze members and the open spaces between them weaving a dance of light and form that changes as one moves around the sculpture.